Bioware have released a more succinct summary of what people should do if they’ve pre-ordered and want to be ready for the early game access from the 15th December. Essentially, if you played in a beta session from 25th November onwards, you can log in via that client and it’ll patch some updates to make it launch ready. If your beta access was only prior to the 25th, then uninstall the client you have and download the new one. So with emails going out on the 13th December (more likely first half of the 14th for Oceanic players), get a downloading if you want to be off the starting blocks right away. Going back on grace period announcements is disgraceful. My “priority international courier” Amazon purchase is currently listed as not even shipping until the 21st. Assuming this has been region adjusted to Aussie time… it still begs the question why Amazon is only shipping the day OF launch and not before. The estimated delivery date is 23-29Dec but reading more closely it actually says the item will only arrive AFTER the 25th. So pretty much rule out playing until January. Still no official release date to buy in Aussie stores… and with all the bad feeling this and other Bioware/EA decisions have made, it really puts a downer on the whole experience. Hey guys, I’ve pre-ordered from Gamestop US. 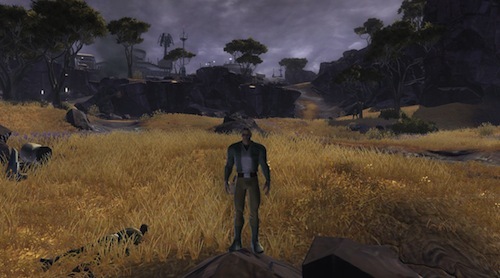 I’ve got my code from SWTOR…I played BETA 25th Nov. I’ve fully patched my game client…Does that mean I can still play early access and wait for my original CD to arrive? Just preloaded SWTOR but I now have a message saying “There is currently no acive subscription on this account. Then there a link to my account but I can’t see where I am supposed to start the subscription. I thought I would get some time with the inital purchase anyway. Anyone know whats going on?